CIDSE affirms that this transformation can only be achieved through a paradigm shift. We need a different system as a whole. This requires new narratives, a different cultural approach – putting sufficiency at its heart – and transforming our political and economic systems. 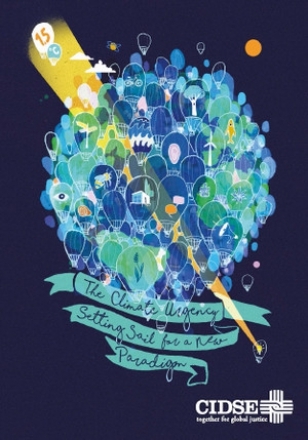 CIDSE’s arguments and vision for a new paradigm are based on values such as integral ecology, justice, and good governance, as also defined by Catholic Social Teaching and in the Papal Encyclical Laudato Si’. Equity, Common But Differentiated Responsibilities, as well as communities’ involvement and participation in decision-making processes are some of the principles that must lie at the heart of the change needed.